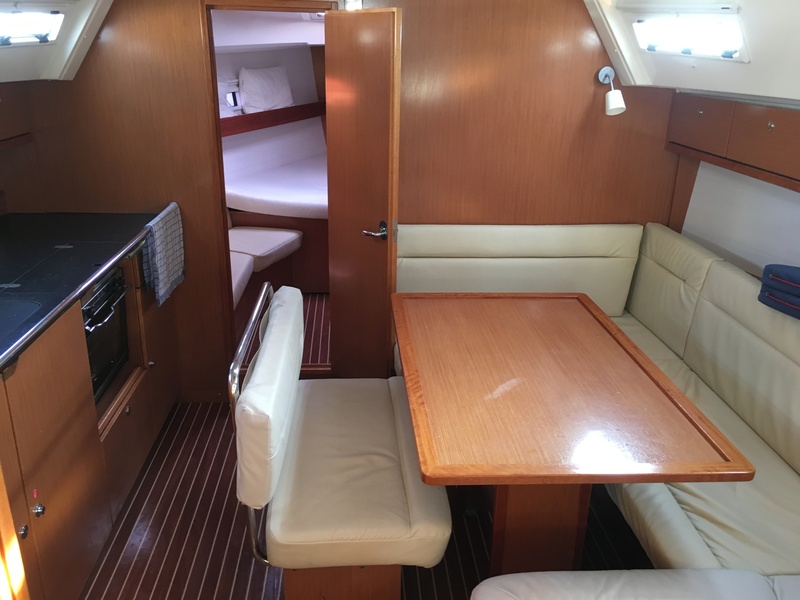 3 cabins, 2 WC .Both genoa and mainsail are furling with lines led aft to the cockpit for easy shorthanded sailing. 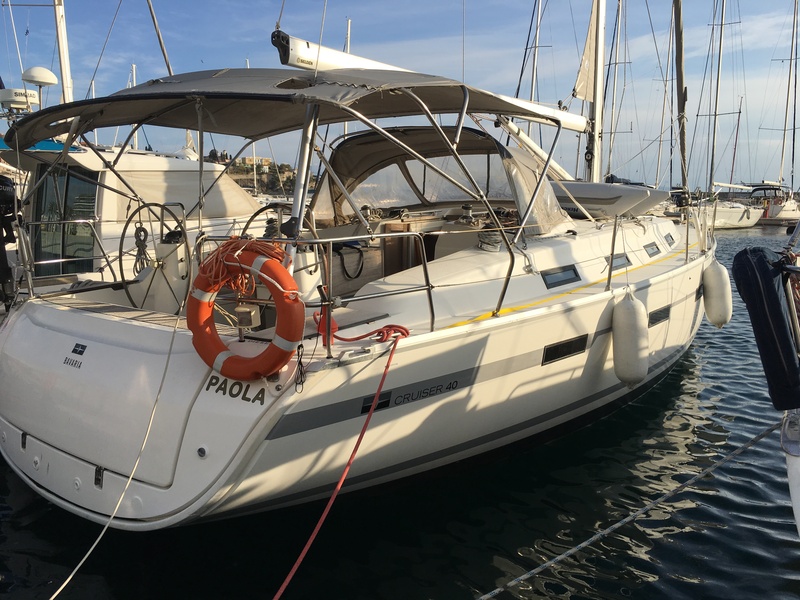 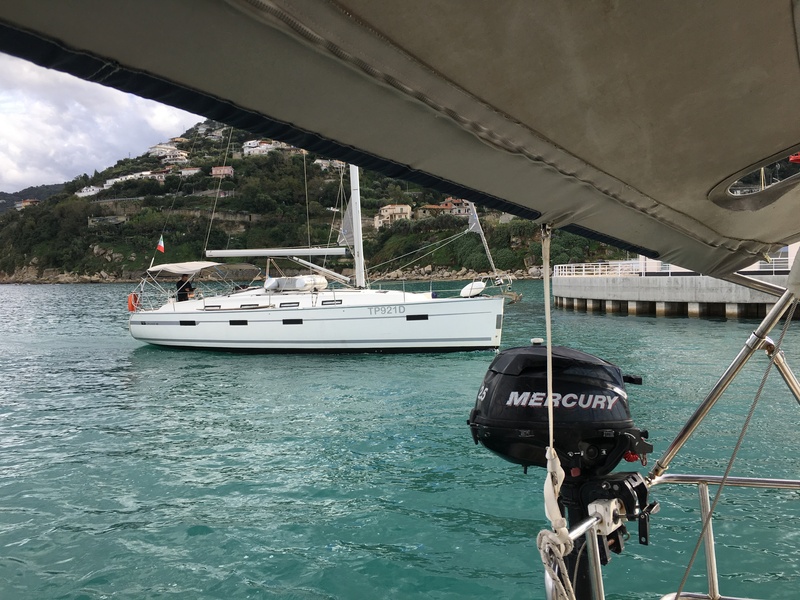 Well equipped for the Med with quality bimini, cockpit cushions etc. 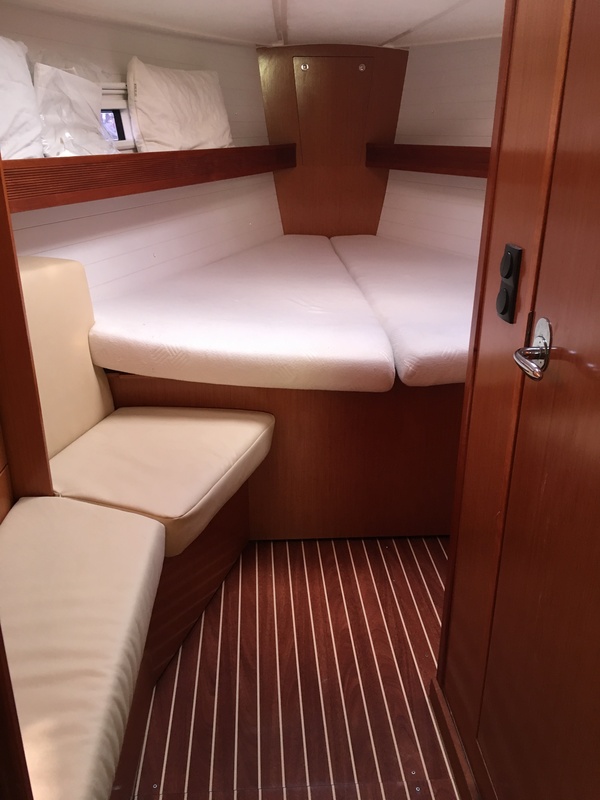 Below decks is a generously sized double cabin in the forepeak area with an en-suite heads/shower compartment. 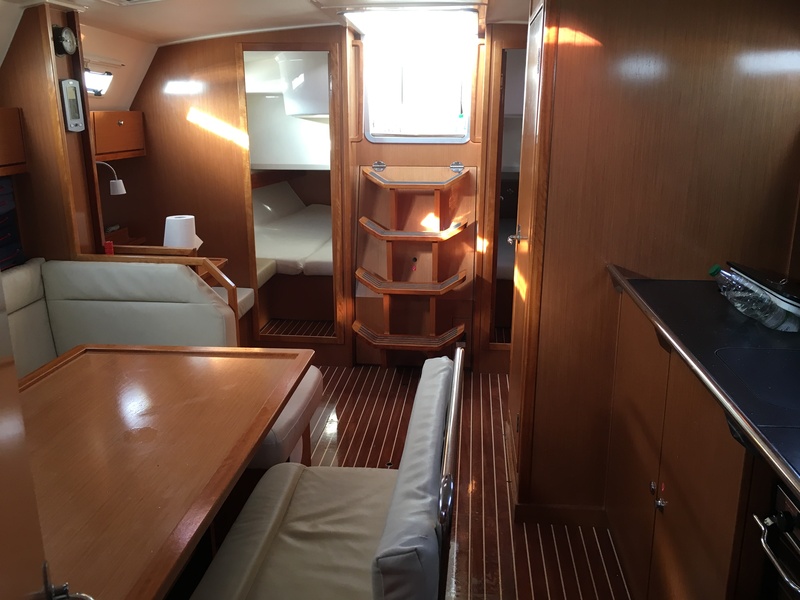 The saloon features a galley running along the portside with cooker, fridge and excellent stowage. 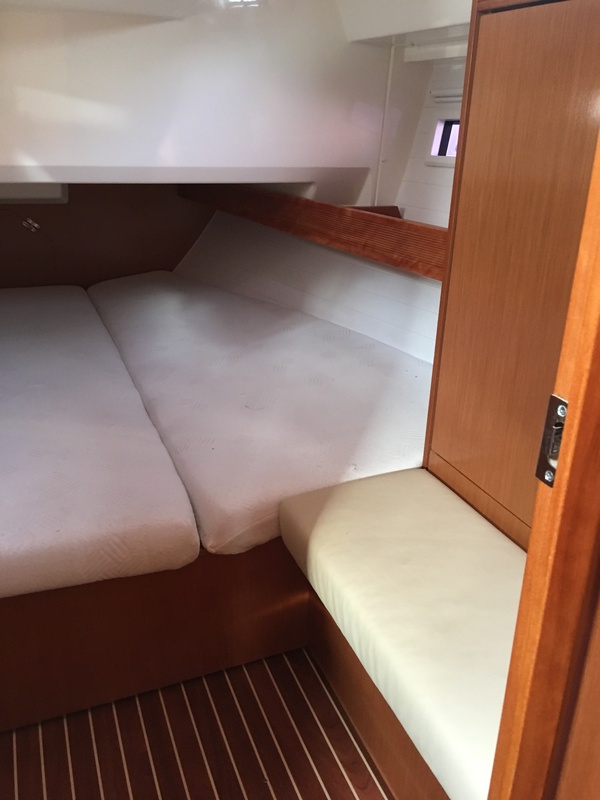 The starboard side has seating around the saloon table, aft of which is the chart table/navigation area. 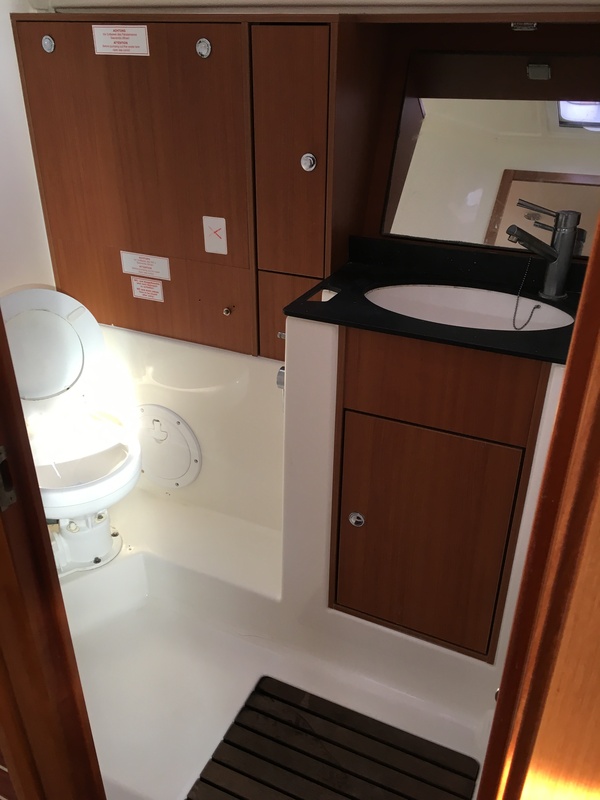 Opposite of this is a separate heads/shower compartment which is very spacious indeed! 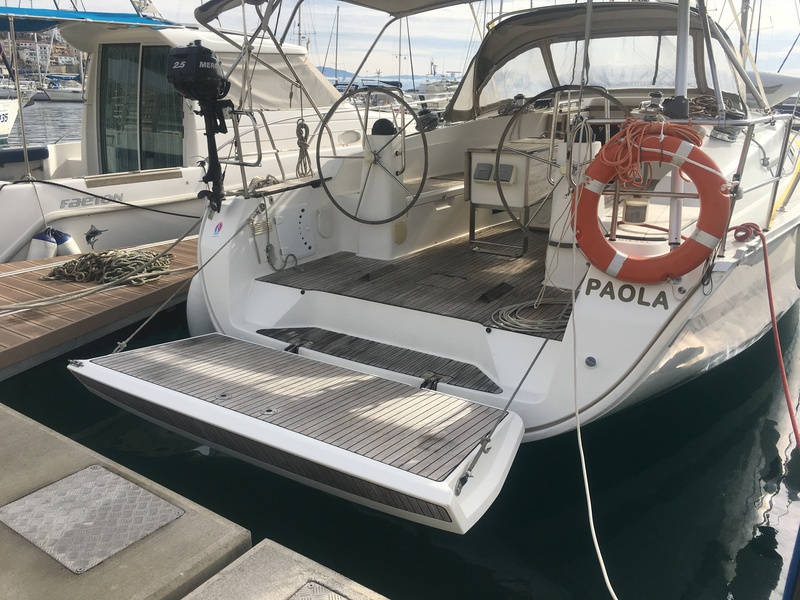 The well maintained engine is located under the companionway steps and there are two further double cabins aft with good stowage.